This article describes some aspects of the crowd movement and transport planning undertaken by Movement Strategies that helped to deliver the successful London 2012 Games. The Rio 2016 Olympics has brought about a twinge of nostalgia for many of us at Movement Strategies. We were heavily involved in planning and delivering the London 2012 Games between 2006 and the last day of the Paralympic Games, playing a significant role in the planning and design of the venues and infrastructure, event day operations and transport. 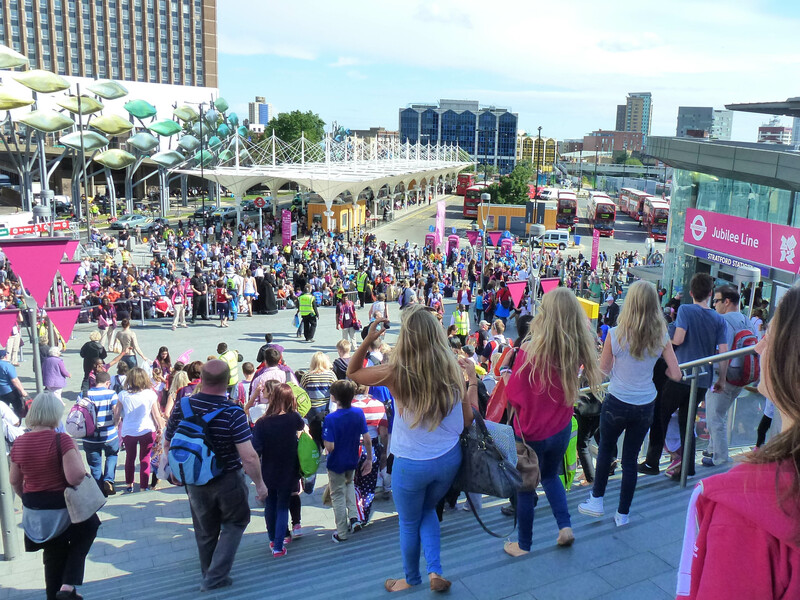 An important activity in planning for crowd movement was the development and management of the spectator demand forecasts for the Olympic Park – a task which Movement Strategies undertook on behalf of the Olympic Delivery Authority. The forecasts were central to determining the size (and build cost) and design of the Olympic Park, and planning Games time transport. The forecasts were used in determining the footprint required for security screening, and the number and configuration of “Mag and Bag” screening units needed. 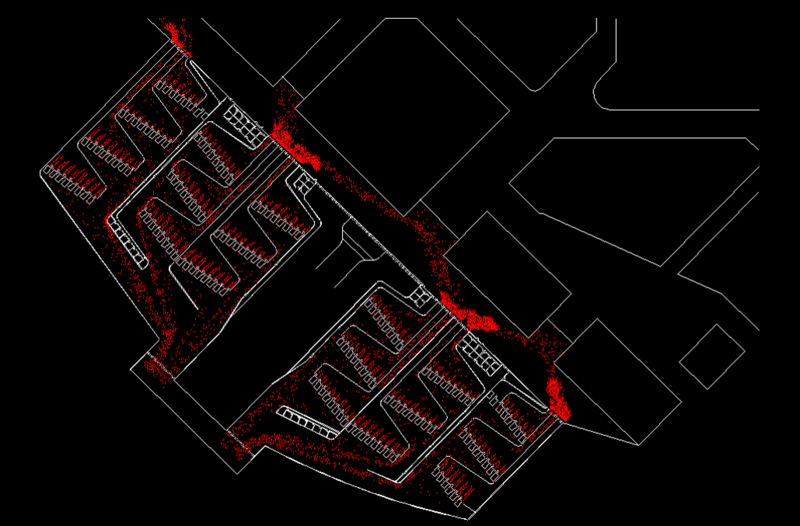 We tested this using spreadsheets, and later crowd simulations, to undertake scenario and sensitivity analysis to ensure the security screening areas could process the peak spectator flows while being as cost-effective as possible. The security screening areas at London 2012 worked as planned with small queues and low wait times while maintaining a strict security regime. The demand forecasts were also used to optimise the number of toilets, food and beverage points to give the specified performance for visitor experience. Free water points were also implemented to reduce queues at the food & beverage points and avoid fans having to wait up for long periods to buy a bottle of water, as has been observed and Rio and previous Games. Government and transport organisations came together in a way never achieved before to meet the challenge of transporting spectators and athletes. We supported ODA Transport, Transport for London, Network Rail and LOCOG in planning and delivering the Games time transport. The rail network was critical to the success of the Olympics, with 80% of spectators predicted to access the venues and venue clusters by rail. Rail line and station capacity studies, based on the demand forecasts, were undertaken to understand the stations and predict the times where capacity was insufficient to meet both Games and business-as-usual demand. A Travel Demand Management programme (“TDM”) was undertaken by the Games organisers and transport network operators and was hugely successful. It encouraged commuters to change their travel behaviour during the Games to avoid peak times and stations which higher than normal congestion was forecast and to help reduce the burden on services. Even after the impact of TDM there were key stations such as London Bridge, St Pancras International, and Stratford where the level of demand would overwhelm the stations if they were operated as normal. Movement Strategies helped develop and test event day operations plans (“overlays”) for these key stations to accommodate the additional demand. For the most critical stations, dynamic simulation was undertaken to provide more sophisticated analysis, and validated against real life observations. The operational plans were then tested to refine the strategy and identify any issues that could affect successful implementation. One of the stations with an event day plan was London Bridge. The transport links and close proximity of Cannon Street and Charing Cross to London Bridge meant that redirecting spectators going to Greenwich Park and commuters to these stations instead of London Bridge would result in travel time savings. One-way crowd flow and queuing systems were also implemented inside and outside the station to increase flows and reduce congestion. Crowd management plans were also developed at St Pancras International station, where our recommendation to pre-load the platforms were critical to the success of the Javelin service, moving people quickly between central London and the Olympic Park. The ‘unknown’ element of rail delays was factored into the models and monitored throughout the Games by a team of transport operators to quickly react to any situations which arose. Which leads onto the final piece of the jigsaw. Movement Strategies was part of the Games-time ‘Transport Analytics Group’ and was heavily involved in monitoring the actual arrival and departure patterns of spectators at the Olympic Park throughout each day including the metro or train line used. A variety of technologies were combined to measure demand and crowd flows including Bluetooth monitoring and live ticket scan data. We used the to support operational decision making within venues, on the transport network and in the ‘last mile’ – between the transport hubs and the venues. The analytics were also used to support the transport stakeholders’ communications with the media, government, Londoners and spectators. The difference between the forecast and the reality was particularly valuable for multi-day events as it enabled the forecast demand and operational plans to be adjusted in light of the actual outcomes. The combination of a wide range of data collection techniques added to the robustness of this methodology and helped to predict trends that were not accounted for in the pre-Games forecasts. The London 2012 Games were perceived as a great success, delivering great stages for great sport, a wonderful spectator experience, and keeping London working while hosting the world’s largest and most complex sports event. They were undoubtedly well resourced, but many aspects of the Games were successful because of the planning and testing behind the scenes including crowd movement and transport planning, in which Movement Strategies played a major part. We continue to be proud of our role in making the London 2012 Games such a success.